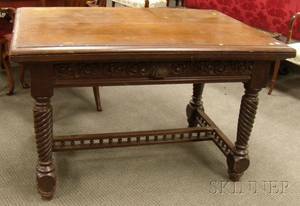 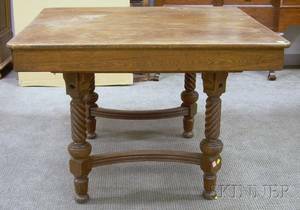 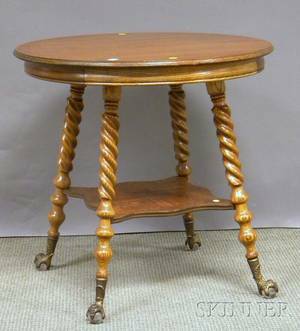 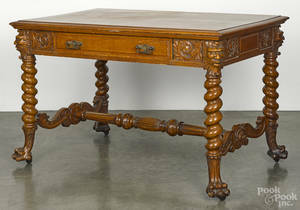 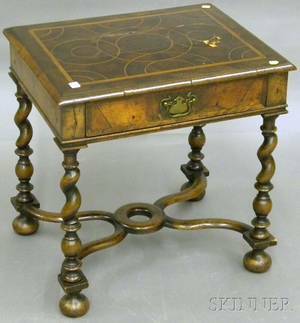 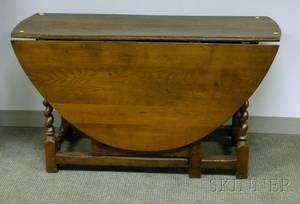 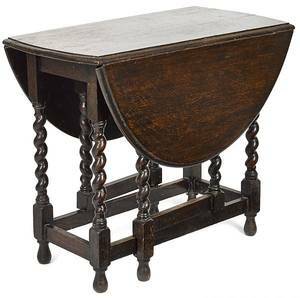 Victorian carved oak library table with barley twist legs and masked figures, 31" h. , 48" w., 29 1/2" d.
Baroque-style Inlaid Burl Veneer End Table with Barley-twist Legs. 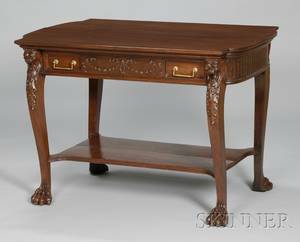 Victorian empire style mahogany bookcase with barley twist columns and carved frieze paw feet. 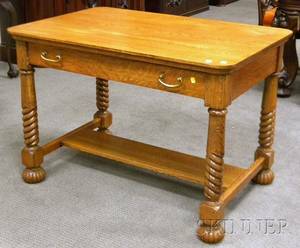 60" x 48 1/2" x 16 1/4"
Oak curio cabinet with barley-twist columns and three glass shelves, early 20th c. 69 1/2" x 31" x 13"